Double Bed, local cedar, circa 1870. 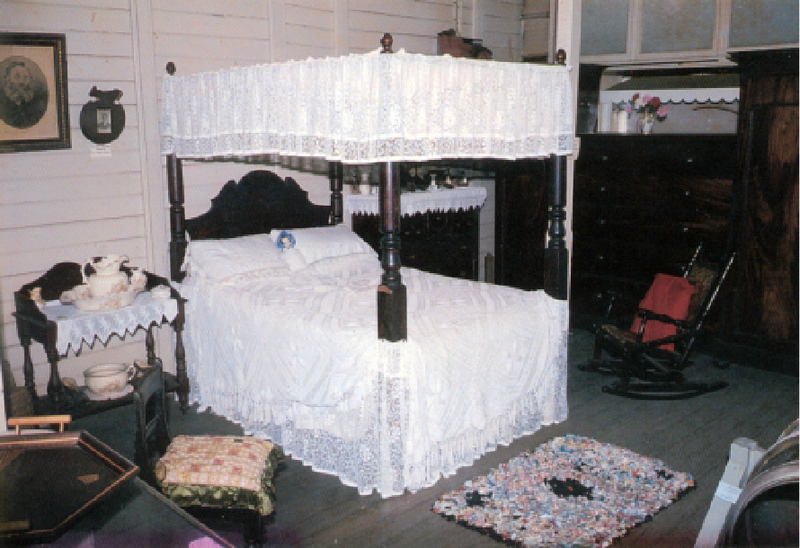 This double bed was made from local cedar by Francis Dennes for William Andrews at "Somerset", Mount George, shortly after he and Samuel Lee built the homestead in 1869. But this is only the start of the story. Visit the Museum to find out more. This Victorian and Federation era room features a hallstand, afternoon tea setting, sideboard, clock, piano, chaiselounge, radio, lamp and photographs. Wingham Town display features objects from many town businesses including this corner which shows a pharmacy, doctors surgery, post office and bootmaker. 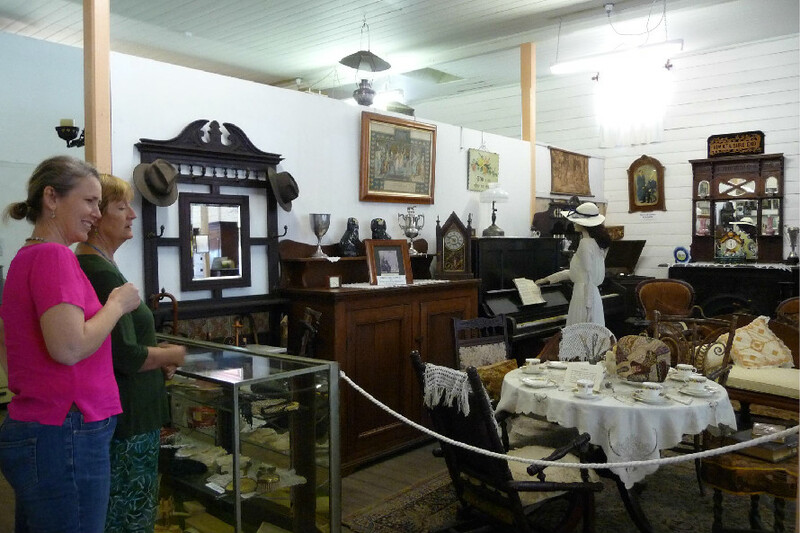 Wingham Museum and Archives is operated by the Manning Valley Historical Society and located in the National Trust listed building dating from the 1870’s. The building has operated as a store for much of its life and this identity is still preserved in many of the exhibits. Advertisements of September 1886 show that the store sold a diverse array of goods ranging from clothing to ironmongery, crockery, patent medicines, wire netting, rope and saddlery. The collection today is just as diverse featuring photographs, furniture and household items from the lives of the early settlers in Manning Valley. The Museum also displays material relating to the life of Jimmy Governor, whose tragic story is immortalized in The Chant of Jimmy Blacksmith by Thomas Keneally, and includes the cell in which he was held before his transfer to Sydney. 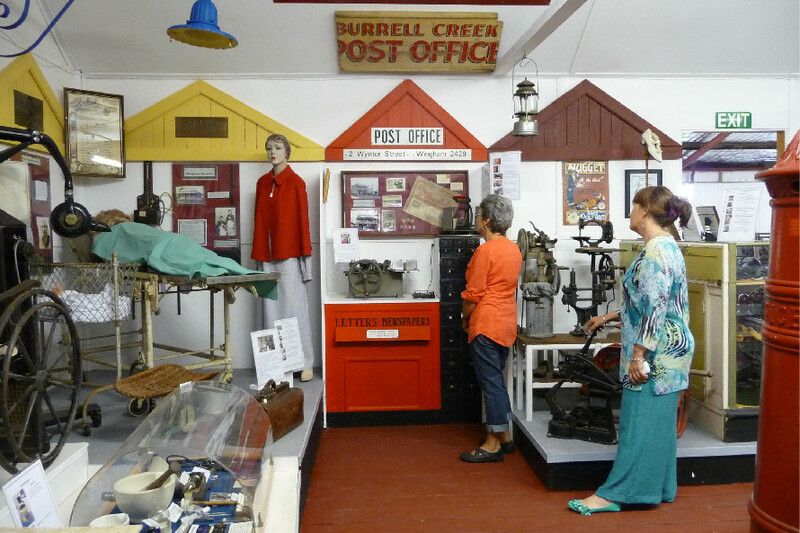 The Wingham Museum is featured in our collaborative project Our Rivers – Our History involving seven museums on the Mid North Coast from the Manning Valley to the Macleay. The Our Rivers – Our History website seeks to showcase some of the most significant objects held in our museums relating to our rivers and coastal waters which are such an integral part of our history. The shop sells a range of books and souvenirs to help keep the memories alive. Research assistants are available at the Museum on Tuesdays and Wednesdays.